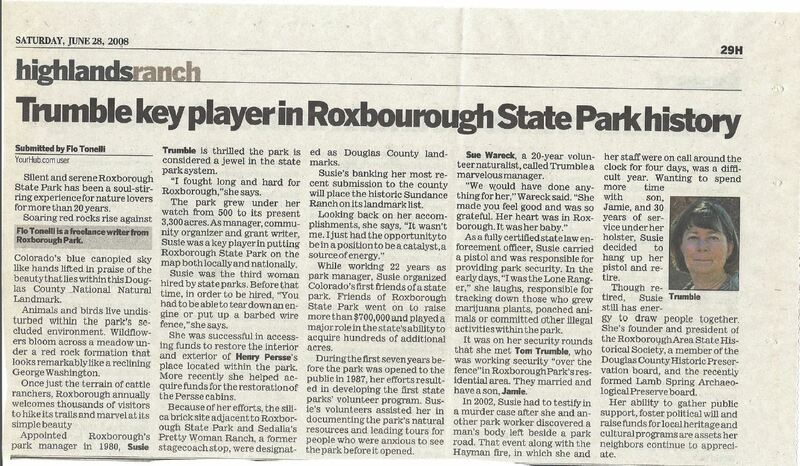 The Long Expedition traveled through the Roxborough area in July of 1820. Arapahoe, Cheyenne and Ute Indians made their home here until the 1860s. The Slocum cabin, one of the oldest in Douglas County, was moved and remains standing in Chatfield State Park. Kassler was once a town that supported the Denver area's first sand filtration plant. Wooden pipes carried the filtered water into Denver. The "leak gang" searched for leaks in the wooden pipes. Waterton was once a thriving train stop on the Denver, South park & Pacific rail line to Leadville. One of the area's main industries was the Silicated Brick Company, that produced distinctive white bricks. The kiln burned limestone into lime which was added to silica sand. The bricks were not baked, but cured by a process using high pressure steam. 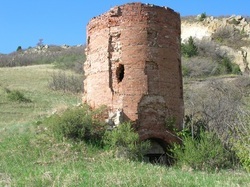 The Kiln site was designated as a Douglas County historical landmark on August 22, 2007. The small community supporting the miners and brickyard workers was named Silica. A narrow gauge rail spur, the Silica Branch, of the Colorado and Southern Railway (formerly the Denver South Park & Pacific) was used to transport the bricks. The remains of 24 Columbian Mammoths were discovered nearby at the Lamb Spring site.